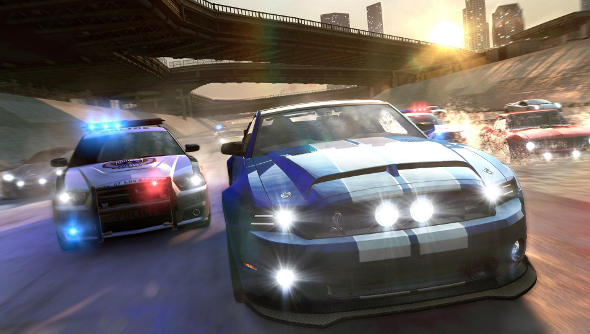 While there’s something presumably appealing about driving the breadth of the USA – an activity described in great detail in countless novels, accounts, films and songs – Ivory Tower’s massive driving game, The Crew, features quite a bit to do in between enjoying a brisk drive across an entire country. Most of involves smashing into things and driving really fast. Chasing, being chased, racing, breaking boxes into tiny pieces – there’s a lot going on in The Crew, but not once do we see a stressed out mother dropping a dozen hellspawn off at various sports practices, recitals or friend’s houses. Nowhere is there an elderly gentleman slowly driving down to the pharmacy to pick up a prescription. And with all the high speed chases and rampages, it looks like nobody has any time to pick up the groceries. A PC closed beta will be running between August 25th until the 29th, and you can sign up for it here.